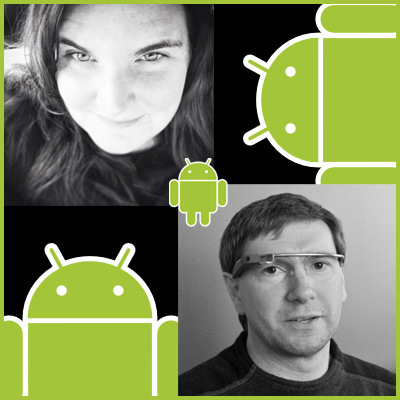 Industry gurus Shane Conder and Lauren Darcey provide a recap of the Android ecosystem in 2012 and offer predictions for how the popular mobile platform may evolve in 2013. We saw Android mature in 2011. In 2012, Android dominated the marketplace worldwide in smartphones. With 75% market share worldwide and over 500 million activated devices, Android is no longer a platform developers can ignore. In the tablet space, Android has grown to 44% of the marketplace, and could exceed 50% in the coming year. Despite our prediction to the contrary, 2012 has seen continued growth in the rate of device activations, solidifying Android’s platform dominance in the mobile device marketplace. Near the beginning of the year, activations were screaming along at over 700,000 a day. As of the third quarter of 2012, though, that has almost doubled to 1,300,000 a daily. That's over a million new potential customers. Every day. That's approaching half a billion activations a year. We'd be surprised if this rate continued much longer, though. What is clear, is that people are taking a serious look at Android, even if they own an iOS device. And existing users are adding secondary Android devices to their hoards. There has been a lot of talk about how market share and download numbers don't matter because the Apple App Store revenue greatly exceeded the Google Play Store revenue. That has been changing throughout the year. According to recent reports, the Google Play Store revenue is growing very rapidly -- 311% year-to-date -- compared to the Apple App Store at just under 13% for the same time period. Still, global revenue on the Google Play Store was just a quarter of that on Apple's App Store by the third quarter of this year. What does this mean to Android developers? There’s still a lot of potential untapped revenue! That’s our take-away, at least. On the Android SDK front, 2012 was the Year of Buttery Goodness. Jelly Bean launched in June of 2012 and incorporated a huge push by Google, called Project Butter, to really enhance performance and responsiveness across the entire operating system. With a further update in November of 2012, Jelly Bean has continued to impress. Google has continued to work with manufacturers in creating devices around the pure Android experience. The Nexus 7, representing the 7" tablet form-factor, and the Galaxy Nexus, representing the smartphone form factor, were the first to see Jelly Bean updates. Later in 2012, the Nexus line was rejuvenated with Jelly Bean updates as well as an updated phone, the Nexus 4, and a 10" tablet, the Nexus 10. Representing three different manufacturers, this trio of Nexus devices provide something for everyone. With a resolution of 2560x1600, the Nexus 10 easily surpassed our previous prediction of tablets running 1920x1080. Even the Asus Transformer Infinity, launched early in the year, met our tablet resolution predictions handily. This past year also saw an experimental launch of the Nexus Q, a screen-less jukebox-like device for Google content with a built-in audio amplifier. The device was met with mixed reviews when it was announced at Google IO 2012, and distributed to attendees, and entered into a confused market competing with the likes of the Google TV on the software front and Sonos audio amps and speakers on the hardware front. Google pulled the Nexus Q from sale and went back to the drawing board. Later on, we saw at least one of its features on Google TVs: you can push YouTube playback from a phone or tablet to your Google TV, much like you could do with the Nexus Q when it launched. We found the Nexus Q amusing but limited and we are curious if the project will be resurrected at a later date. If so, let’s hope it has a more obvious niche. This screen shifting isn't the wireless display technology we had hoped to see, but it's along similar lines. Jelly Bean (Android 4.2) also introduced some secondary screen technologies that enable developers to control what content is displayed on secondary screens that is not just be limited to screen mirroring. Still, there is evidence that standards-based screen shifting, through WirelessHD, will be coming. 2012 was also the year of rapid movement towards high-end hardware. Everywhere you looked, devices were getting faster, with bigger and better screens. Phones and tablets alike have quad core processors with many core graphics accelerators. And where they don't, companies like Intel are pushing high-end processors with fewer cores that perform very well. We have seen Full HD 1080p resolutions phone screens with pixel densities exceeding 400 pixels per inch. Large tablets are shipping with even higher resolutions, such as the Nexus 10 with its 2560x1600 display. Even mainstream phones are running at 720p resolutions now; these HD resolutions are no longer limited to high-end phones. Android devices from the likes of Barnes & Noble (the Nook line) and Amazon (the Kindle Fire line) were expanded this year as well. These reader-friendly devices now boast high resolution screens, multicore processors, and multiple form factors for different users. Although these two lines of devices are popular, they don't have Google Mobile Services, such as the Google Play Store. Since they run on Android, though, supporting them is generally just a matter of supporting a different distribution method. Developers continue to need to support several third party distribution methods to be available on all Android devices. If anything, this necessity has grown throughout the year. While devices continue to improve and evolve, we are also seeing some features being phased out. For example, glasses-free 3D screens on handsets no longer appear to be shipping, where previously both LG and HTC had them. We haven't seen a fingerprint reader since the Atrix 4G. Motorola phased out the Lapdock, yet ASUS as the Padphone, which is similar in concept, but runs Android in all configurations, not Linux when docked as the Lapdock did. Whether this is a result of users not needing or wanting such features, developers not supporting such features, or a bit of both, the result is fewer unique device features for developers and users to dabble with. That said, there are still some fun exceptions. Notably, Samsung has been touting its S Pen for use on the Galaxy Note line of Android devices. The S Pen has an SDK so developers can use it. Is the S Pen any different from other custom features? Does Samsung have a leg up simply because it sells so many devices? While we're not sure, we also haven't seen any of our daily apps advertise support for the S Pen. Developers are likely wary of supporting such unique features when they may just vanish just as quickly as they appear and can complicate application compatibility. In all, 2012 was yet another great year for Android, its developers and its users. There are tons of new Android devices out there and will continue to be for the foreseeable future. From huge growth for manufacturers and a smoother, more consistent experience for users, Android has become a stable and growing platform that developers can rely on for years to come. Continued Improvements to Screens. Seven inch tablets need to catch up in both density and resolution to their phone-sized and large tablet sized siblings. We'll see obvious improvements there, with seven inch tablets seeing at least 1080p displays, if not higher, before 2013 is gone. Pixel density will continue to improve across all display sizes. Screens are likely to continue to approach print-like resolutions of 1200 dpi. That won't come this year, but we might see a 600 dpi screen near the end of the year, as we're starting the year with 440dpi devices already available. Full HD (1080p) displays will become standard across all screen sizes, with more Quad HD displays coming (2560x1440) to tablets. If 2012 was the year of the “phablet,” 2013 may well be the year the bezel (the space between the screen and the physical edge) is minimized to squeeze as much display potential in a device’s physical form factor as possible. This will continue to pressure the art departments of mobile companies to create higher resolution images to cater towards the large displays and high density displays. Design will continue to be more physical-size-based rather than pixel-size-based. Continued Hardware and Software Performance Improvements. With Intel pushing Atom processors into smaller devices, including smartphones, and ARM technology improving to outperform Atom processors on the laptop form factor, a processor tech war may be brewing. Both Android and Windows can run on Intel and ARM platforms now, further pushing Intel and the ARM platforms to compete for performance and battery-life crowns. We've already seen announcements for huge numbers of graphics cores coming in 2013 (72 or more! ), but we doubt there will be much movement on the general purpose cores beyond four/quad. What will improve is the software, from the OS to the SDK to the apps themselves, making more efficient use of all types of cores available. This will enable Google and other developers to create truly smooth, responsive, and stutter-free applications that are a pleasure to use. Battery Life Gains In Favor of Performance Gains. Performance of Android devices will certainly grow. But a focus on battery life will shift the marketing features of new devices, much as we saw efficiency take over as the selling feature on the desktop and laptop side of things when the "megahertz wars" fizzled. This may start creating a split between enthusiast or gaming devices, with maximum performance, and business user devices with maximum battery life. Hopefully this will come in lower power data modes and GPS modes. We find the highest battery use in apps that use both data and GPS at once -- such as mapping or location-based apps and games. On the app side, we wouldn't be surprised to see some apps and games start offering high power modes and low battery drain modes, instead of the more traditional graphic detail settings, in order to cater to both markets without requiring that devices be plugged in. Gaming. 2012 didn't see the sort of hybrid, multi-device gaming we thought we would see., as it’s certainly within the realm of feasibility. Yet developers are mostly still sticking to the tried and true instead of venturing into new territory. However, with the launch of the Nintendo Wii U giving users and developers a glimpse of the potential of multi-device gaming, we could easily see that style of gaming coming to tablet+phone combinations, phone+Google TV, or even a console, such as the Ouya. It only makes sense. The latest Android SDK makes some of this easier with the ability to drive multiple displays with different content. Android SDK. As with 2012, only one major platform update is likely to take place in 2013. This update will continue to bring to Android more of what it does best: a system with fantastic multitasking and multiple user capabilities and simple data sharing between applications and devices. We'd love to see an API for hosting a remote display and serving content to a remote display on another Android device, whether it's on a TV, tablet, or phone. Other SDK improvements will include APIs to simplify the developers work in following programming best practices, much like the API for the ActionBar did. The Eclipse plugins will continue see updates making the secondary programming tools, like the NDK and the ADK, easier to use and more accessible to more developers. Google will continue to add features to older SDKs with the Support library, but will be pushing really hard for developers and manufacturers to move to Jelly Bean and leave Android 2.x behind. Faster Updates, Longer Update Support. Google tried to introduce a program in 2010 that would hold manufacturers to update schedules for a certain period of time and for those updates to be timely. That was the last we heard of it. The Galaxy Nexus from 2011 was available through many carriers. However, only the unlocked GSM variants of the device have seen updates. In fact, Google dropped AOSP support for the CDMA variant early in the year, and resumed some limited support later on. Still, even some CDMA Nexus devices have been slow to receive updates. This is probably part of the "tactical" reason behind not having a CDMA version of the Nexus 4. This has made it clear to everyone (the press, Google, and users) who the real update roadblocks comes from: carriers. As to the reasons? There are some legitimate ones--rolling out updates requires testing and taxes support teams. However, it also forces users who want the “latest” to upgrade their devices and service plans--carriers bread and butter. We'll continue to see stronger push back on why some updates are extremely slow and others are not performed at all. Still, we're disappointed that many devices aren't updated for as long as the carrier contract for the user is active -- two years, typically. For example, the Motorola Atrix 4G is no longer being updated. Yet, the device is a capable dual core handset from a manufacturer owned by Google. While the average consumer may not know or care, enough users do that we expect the issue to continue to get coverage in the tech press and, hopefully, something will be done about it, since it’s a real waste of technology and materials. Display Shifting (the act of mirroring a device display on on screen, such as a TV, or extending the display with different content). Wireless displays didn't come to pass in 2012, as we'd hoped. With the new features in YouTube, the features that the Nexus Q did do, and the ability to display different content on multiple connected screens in the latest update, we think Google is slowly preparing developers for a time when any Android device can output anything to a Google TV device (or something similar; like perhaps an improved Nexus Q). Year of the Television. Google and its partners aren't giving up on Google TV. Other devices, including game systems like the Ouya and dongles like the Cotton Candy, will put Android on the TV. LG has already announced an expanded lineup of televisions with built-in Google TV. The announcement talks of a Google TV 3.0, which we take to mean a third generation device (Google calls the current Google TV devices the second generation). Combined with display shifting (discussed earlier) and console gaming technology either through a device, like the Ouya, or a service, like OnLive, will help cement Android on home television screens in 2013. Will it take off? We don't think so, at least not in the same way game consoles and DVRs have, but it will be popular enough to be noticed and used. The device activation rate will level off. Yes, we said the same thing last year. We weren't even sure an activation rate of a million a day would be reached. Yet, it reached 1.3 million a day months before the end of 2012. But we still really think it'll have to level off this year. If it doesn't, we'll see over a billion activated devices before the end of the year. In fact, looking at the numbers, if the activation rate stays exactly where it is, the billion device mark could be hit as early as September of 2013. Why has the rate stayed so strong? Likely because users are actively using multiple devices - smartphones and tabs, TVs, etc. The Android SDK will only see one major update. Again. As with our correct prediction that 2012 would only see on major update (Jelly Bean, 4.1 and 4.2), 2013 will only see on major update. We'd guess the next named version (Key Lime Pie is most often heard, but what about kettle corn? Or kruller?) will be out, although we wouldn't factor out another minor update to Jelly Bean first. Either way, we'd expect the next update to come in the same time-frame as Google IO 2013, in May. These relatively spaced-out release roll-outs, compared to the early days of frantic back-to-back platform updates, are good for consumers, developers, and manufacturers who want stability.